As the Industry 4.0 movement continues to evolve, many businesses find themselves having to transition from a pure mass production model into custom, service-based workflows. This transition can be grueling, especially if organizations lack the digital base to build from as they advance into the new industrial revolution. Simply producing and delivering goods is no longer enough to meet customer demands, a trend that has been taking shape gradually in the sector in recent years. Pointing to one major manufacturer that began this transition long ago, a Manufacturing Business Technology report explained that information and customer interactions are emerging as essential components of manufacturing business models. The ability to gather and use large quantities of data is proving instrumental in helping manufacturers improve customer experiences and create stronger product lines. "Simply producing and delivering goods is no longer enough to meet customer demands." Data-driven innovation often leads to changes in customer expectations, something that is happening quickly in manufacturing. According to a Forbes report, customers are pushing manufacturers to create custom products on demand, forcing production lines to become much more adaptable and flexible. All of these trends come together in the rapid rise of 3-D printing, as the ability to use digital plans to turn raw materials into a custom good is emerging as an invaluable capability in a wide range of sectors. Between internet of things data that lets manufacturers turn information into value, flexible production models that drive better customer experiences and additive manufacturing methodologies that break down longstanding production barriers, organizations have opportunities at their fingertips. However, the amount of change happening in the manufacturing sector can be a lot to deal with, especially for small to mid-sized organizations that can't afford to go all-in on new production equipment, robotics systems, digital technologies and similar solutions. This begs the question: How are these manufacturers going to keep up with the new industrial revolution in a cost-effective, iterative fashion? While not every business can afford to embrace custom and service-based manufacturing methodologies today, all can take lessons from these trends and work to adjust their capabilities accordingly. The key is understanding the underlying conditions that make such operational models possible: Digital technologies. Use internet of things devices to track operations and equipment dispositions in real time to minimize production disruption. Leverage sensors to track use patterns and customer behaviors to fine-tune products on an ongoing basis. Bring data together in central enterprise resource planning systems to align procurement, scheduling, production, delivery and maintenance operations. Eliminate paper-based processes that slow down communication within an organization and limit operational flexibility. 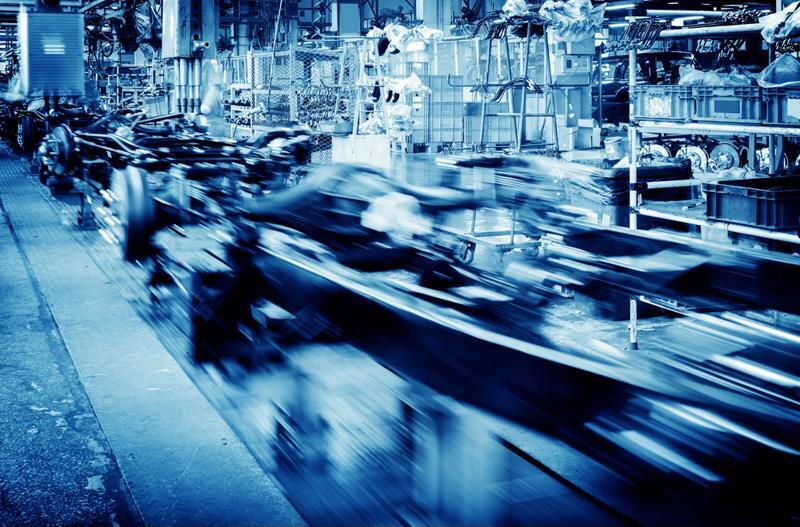 By focusing on iterative IT innovation, organizations can put themselves in a situation in which they can progress into custom manufacturing workflows as business use cases emerge. For example, if a manufactured home production firm wants to branch out and offer more customization options, but has long struggled to align procurement with customer ordering to allow for reasonable production forecasting and delivery, they're stuck. However, integrating an ERP system with an e-commerce platform would allow for automation. When an order is made, the ERP solution can send alerts to stakeholders so they can update plans, order parts and schedule the custom production to run quickly. Improving this type of workflow with digital technologies now means that, when the opportunity for 3-D printing or similar disruptive changes arise, the foundation will already be in place. Custom manufacturing is taking hold in a variety of segments. Invest in an ERP system if you don't have one and put resources into integration if you do. Cloud ERP solutions are making the technology more accessible for companies that wouldn't have derived value relative to cost in the past. Ensure your network connectivity penetrates all areas of operations, using Wi-Fi when appropriate in warehouses and for production environments, so data can move freely across lines of business. Deploy mobile applications and services to empower users to interact with digital systems wherever they are. These initial investments can bring your organization together under a common IT service umbrella, ensuring all users get the data they need to operate at peak efficiency. ICS Support can help if the process feels like a lot to tackle. We offer a combination of IT consulting, implementation and management services to help organizations stay ahead in rapidly changing industries.